Launch of new website for the Smashing Times International Centre for the Arts and Human Rights featuring the new Women in an Equal Europe Documentary and Book. 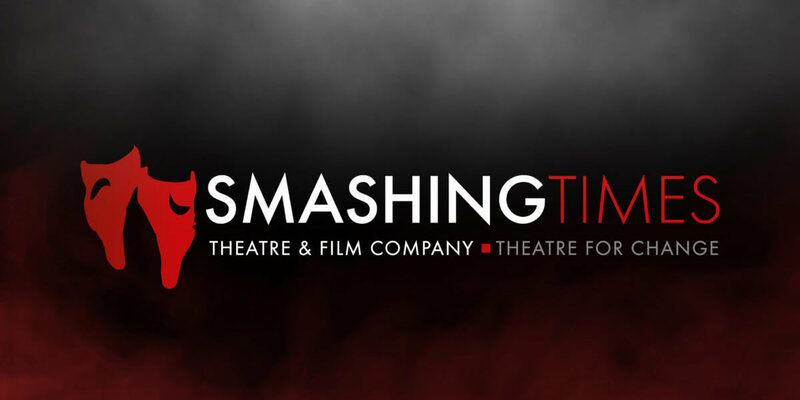 Smashing Times are in the process of setting up a new Smashing Times International Centre for the Arts and Human Rights and we are delighted to announce the launch of a new website supported by the Department of Culture, Heritage and the Gaeltacht Arts and Culture Capital Scheme. The new website provides information on the arts, human rights and gender equality, and features the launch of a new Women in an Equal Europe Documentary and Women in an Equal Europe Book. As part of the European project Women in an Equal Europe, twenty-one women were interviewed – six from Ireland, five from Spain, five from Croatia and five from Serbia. The interviews are contained in the Women in an Equal Europe Book, which can be read by everybody, to promote a remembrance of women's equality and experiences of life in Europe, ensuring women's voices and stories are equally heard and acknowledged. The interviews are a fascinating insight into women's experiences, capturing the uniqueness and strength of the women as they speak about their lives and the importance of gender equality for all. Read interviews with influential women working in Ireland today, including Olwen Fouéré, Actor, Director and Creative Artist; Senator Ivana Bacik, Barrister and Reid Professor of Criminal Law at Trinity College Dublin and Labour Party Senator; Mary Lawlor, Human Rights Activist, Founder and current board member of Front Line Defenders and Adjunct Professor, School of Business, Trinity College Dublin; Dil Wickremasinghe, journalist, broadcaster and co-founder of Insight Matters; Mary Moynihan, Writer, theatre and filmmaker, Artistic Director, Smashing Times and Lecturer, DIT Conservatory of Music and Drama; and Sinéad Burke, writer and activist. The book is created and edited by Mary Moynihan and contains a foreword by Senator Lynn Ruane and articles relating to gender equality in Europe today as well as interviews with women from Ireland, Spain, Croatia and Serbia. A new Women in an Equal Europe Creative Documentary was made exploring themes of women, feminism and Europe. The documentary is directed by Mary Moynihan, theatre and film maker, edited by Mark Quinn, Highwire Ltd, and features interviews with twelve women from Ireland, Spain, Croatia and Serbia along with a series of nine Vox Pops or statements from women and men exploring women's lived experiences of life in Europe and the intersection between the arts, feminism and equality. Women interviewed in the documentary include Olwen Fouéré, Actor, Director and Creative Artist, Ireland; Dijana Milošević, Artistic Director, DAH Theatre, Serbia; Dil Wickremasinghe, Journalist, Broadcaster and Co-founder of Insight Matters, Ireland; Orla O’Connor, Director of the National Women's Council of Ireland; Sinéad Burke, Writer and Academic, Ireland; Mirjana Renduli, Actor, Writer and Facilitator, Croatia; Constance Short, Visual Artist, Arts Organiser and Cultural Conduit, Ireland; Vanessa Ogida, Broadcast Journalist, Motivational Speaker, Writer, Trainer and Entrepreneur, Ireland; Pom Boyd, Actor and Writer, Ireland; Róisín McAtamney, Actor and Theatre Director, Ireland; and Dr Shirley Graham, Visiting Associate Professor of Practice in International Affairs at George Washington University.